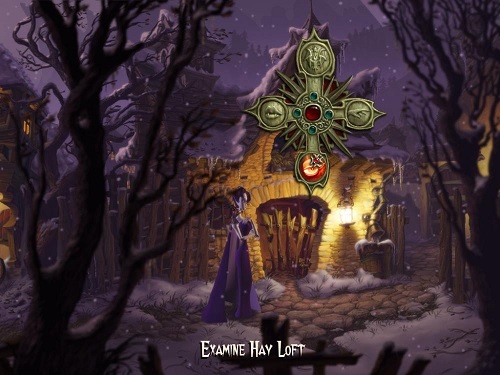 A Vampyre Story is one of the more recent point and click adventure games to be released (2008). The game stays true to the origins of the genre while offering a light hearted adventure revolving around the undead. The game takes place during the 1890’s in Europe with the game following a young opera singer and her journey home after being kidnapped and transformed into a vampire. This young singer named Mona Da Lafitte craves fame and a normal life and she hopes to find it in her home of Paris. In order to do so players will have to escape the castle of her kidnapper and explore the nearby town. Both the castle and the town have a wonderfully dark and gloomy atmosphere that reflects the mood of Mona perfectly. This journey focuses heavily on how Mona Da Lafitte adapts to her new situations which presents a number of unique problems and puzzles. During this adventure Mona is joined by her new bat friend and extremely sarcastic companion called Froderick. 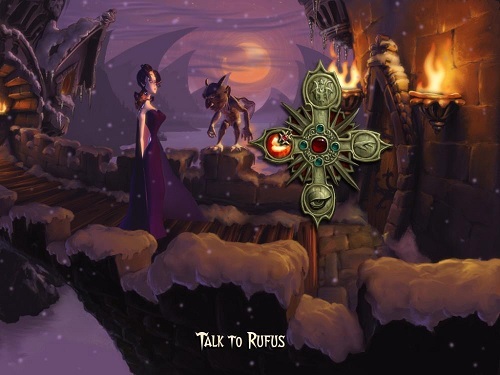 Gameplay in the Vampyre Story doesn’t deviate much from other popular point and click adventures with players interacting with the game world by clicking on objects that they encounter. Once an object has been selected players are presented with a number of options and actions related to that particular object. An impressive aspect of gameplay though is the development of Mona’s vampire powers which tie into puzzle solving and give a great sense of advancement as Mona learns how to use her abilities and come to terms with the transformation. A Vampyre Story manages to be fun, rewarding and gloomy at the same time and does a great job at immersing you in the game world and wanting to you to get Mona out of her situation. A vampire based puzzle adventure. Develop and use your puzzles to help you escape back to Paris. A dark and gloomy game atmosphere. Witty, light hearted and often hilarious writing. Released in 2008 for Windows.